Park Series Synthetic bags are cut tall and wide, ideal for campers of a larger stature, barrel-chested strong men, or for folks who just want more room to move around at night. Ideal for hunting camps, base camping, or road-tripping. Slip one of our 25" wide pads into these Big Agnes System bags, which utilize our full pad sleeve design. Park Series Synthetic bags are cut tall and wide, ideal for campers of a larger stature, barrel-chested strong men, or for folks who just want more room to move around at night. Ideal for hunting camps, base camping, or road-tripping. Slip one of our 25" wide pads into these Big Agnes System bags, which utilize our full pad sleeve design. 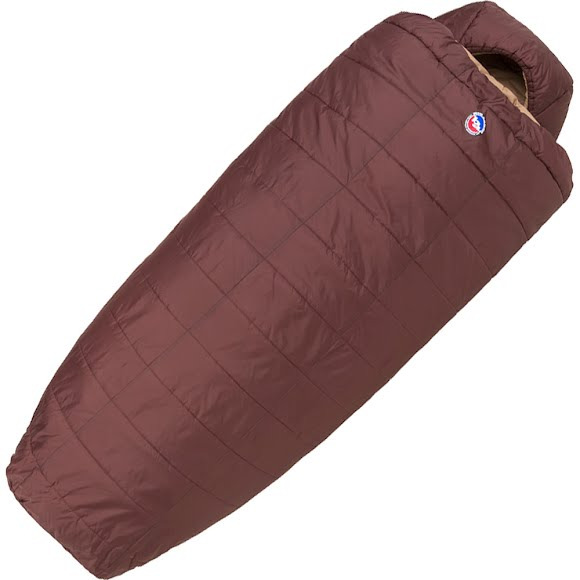 With double zippers and top corner hand pockets that feel just like your comforter at home, the Park bags&apos; unique quilt-like construction turns your bag into a backcountry bed. So comfortable, you won&apos;t want to go home! Max User Height 6' 6"
Stuffsack Size 12" x 23", Compressed size: 12" x 15"